It has been so long since I have found an eyeliner that I truly love. 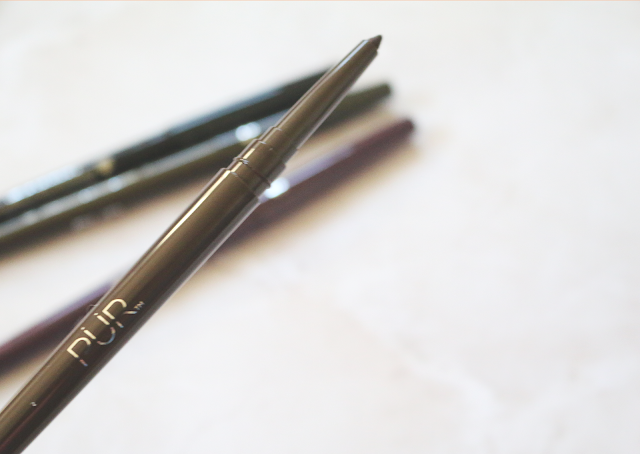 But as soon as I tried these new On Point Eyeliners by Pur Cosmetics, I fell in love. 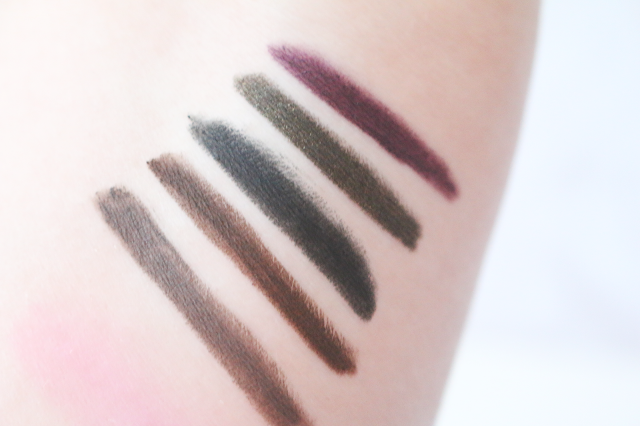 There is 5 different shades to choose from and they retail for $19.00 each. 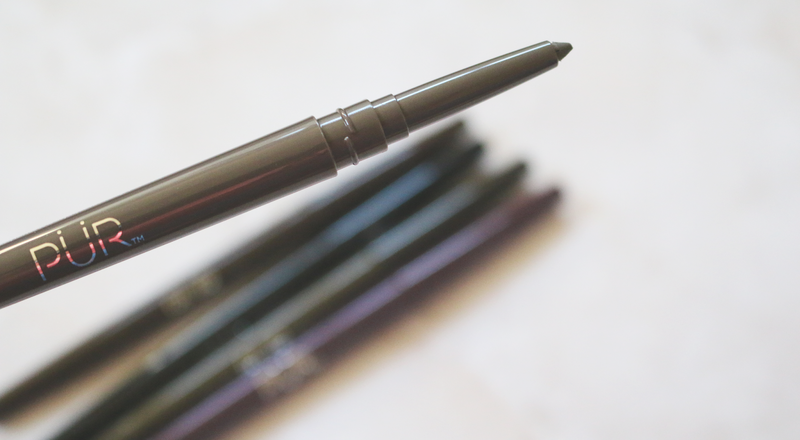 Which that price is pretty comparable to other higher end eyeliners sold at Ulta. The packaging of these are really nice. 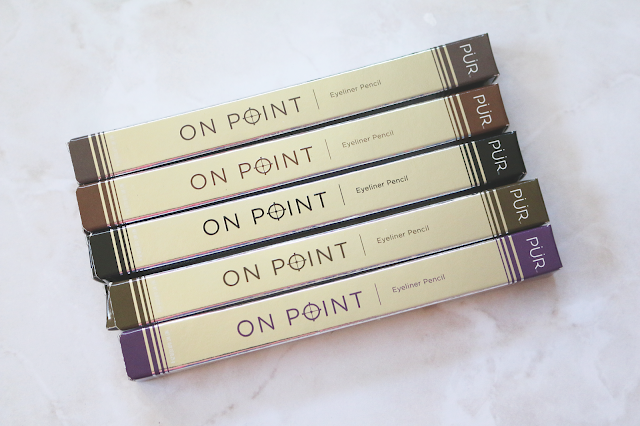 You can see the color of the shade right on the packaging so you can tell which shade you are grabbing for. 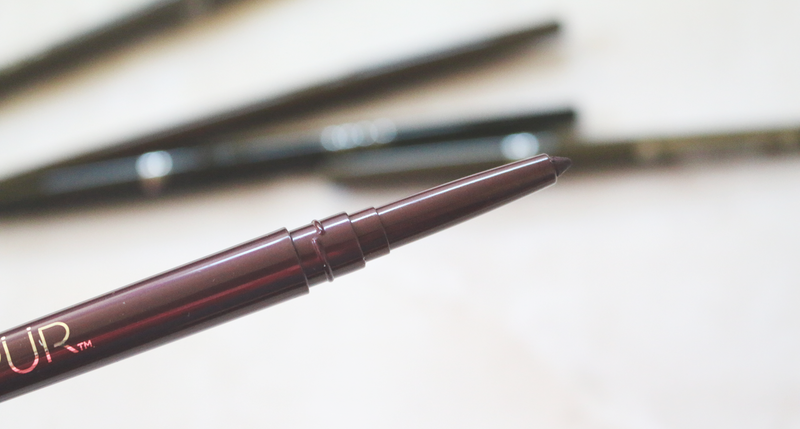 These eyeliners are self sharpening so you will always have that nice point to apply to your lower lash line or your upper lash line. I seriously love all of the shades. I think a lot of them will be perfect for the fall time. They are very long wearing as well. They claim to last up to 10 hours which they did on me. I was very surprised to see that they really were long wearing. 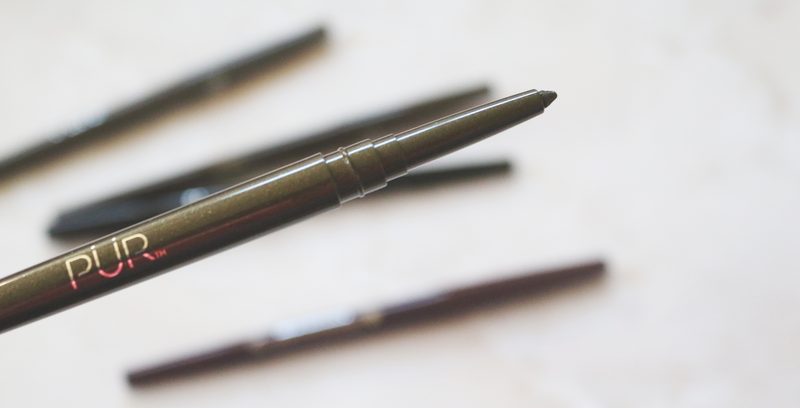 A lot of times eyeliners will smear on me and or come off, but I didn't have that issues with these. 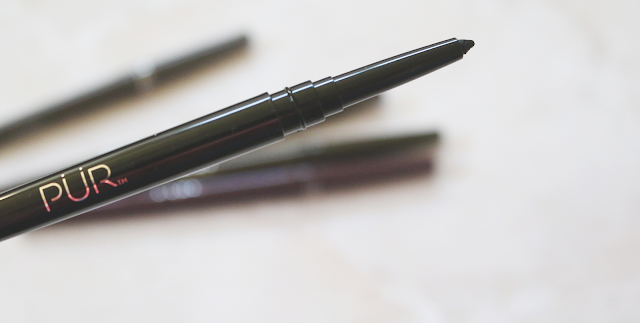 I really had to scrub to get the eyeliners off of my arm, but when it came to my eyes, I just used a cleansing oil and it came off right away. 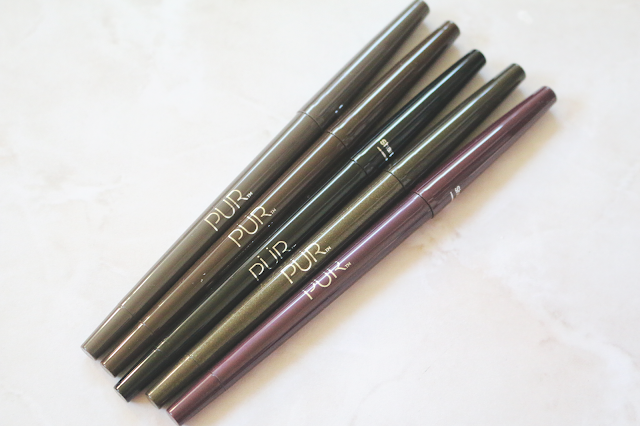 I have really been enjoying these and I would love to see Pur release some more shades including bright colors! Let me know if you have tried these yet and what you think about them! The photos below are in order by the list above.